Only 15 miles from downtown Charleston, The Isle of Palms is a paradise you won’t want to miss out on. 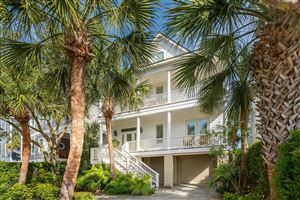 Feeling like you are living the resort lifestyle is easy as this barrier island is bordered by 6 miles of pristine beaches with magnificent ocean views. Marshes cover watery inlets on other parts of the island, allowing numerous photo opportunities of wildlife and sunsets. The 1 mile wide and 7 miles long island has a full range of businesses and services. The Isle of Palms is an incorporated city that takes its responsibilities to residents and visitors seriously. The City owns and operates a 5 acre marina with a public boat ramp, 50 fully equipped boat slips offering city water and many more amenities. The marina is a hub for charter fishing trips and tours of nearby islands. 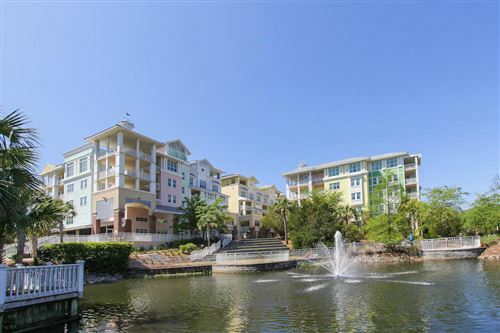 Only minutes from the marina, miles of beaches stretch out before you as you walk down the City maintained boardwalk. Numerous bike paths, parks and other recreational opportunities abound throughout the island. Golf, fishing, swimming, beachcombing, or just plain relaxing are some of the amenities enjoyed by residents and visitors alike. With the building of the Grace Memorial Bridge in 1929, The Isle of Palms became accessible to vehicles but residents also enjoy using their personal golf carts to navigate designated side streets. All upgrades from the original ferry and trolley systems. Home to almost 5000 residents and many more who own vacation or investment homes, this beautiful island abounds in history, including several sunken ships lost during the Civil War. Originally called Hunting Island with the moniker of Long Island following, it was renamed Isle of Palms by J.S. Lawrence when he purchased it in 1899, thus starting the development of the area. Once called The Isle of Palms Beach and Racquet Club but now known as the Wild Dunes, this popular resort destination offers two 18 hole golf courses, numerous tennis courts and swimming pools. With over 1,500 acres, the Wild Dunes has private residences, condominiums and vacation rentals.